A lot of work goes into processing a mortgage transaction. As the one borrowing money, you will be required to pay an origination fee to cover the costs of putting the mortgage in place. 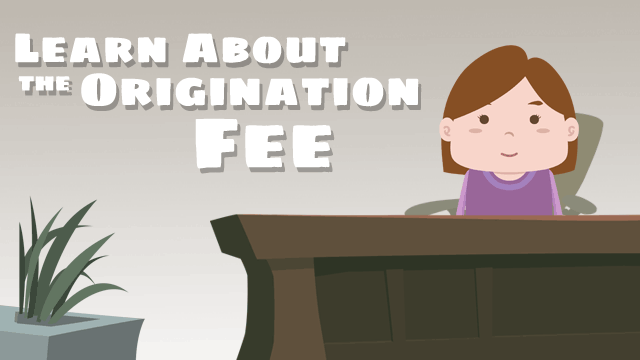 The origination fee is the charge applied to a borrower to pay for the process of a mortgage application and for creating the home loan. Quoted as a percentage of the total loan amount, origination fees are usually 1 percent of the mortgage. The “origination” of a mortgage loan includes everything it takes to put the mortgage in place. The process begins when you submit the loan application along with the supporting documentation of paystubs, employment history, etc. It includes your loan officer—the “loan originator” who initiates and works to complete the loan—pulling up your credit score and submitting all the information to an underwriter who ultimately determines whether you qualify for the loan. The origination fee is also seen as a mortgage point to be paid to the loan originator at the closing of the mortgage transaction. The fee is similar to other commission-based payment and works as the loan originator’s payment for selling you the loan.